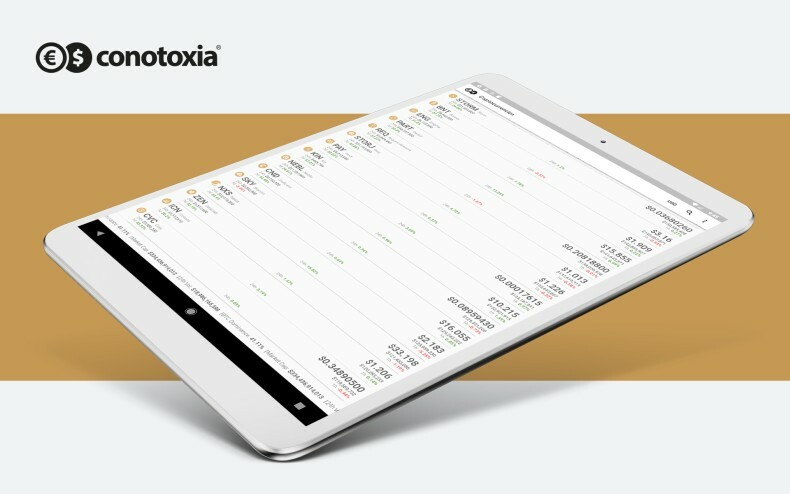 Conotoxia, introduced by Cinkciarz, provides a new app displaying the rates of the cryptocurrencies with the highest market capitalization. “Cryptocurrency Rates Conotoxia 1.0 Pluto is the first version of the app that will be systematically developed. It has been designed purely for information purposes. This is the next step, after the launch of expert analyses, towards spreading knowledge on such a hot topic," announces Piotr Kicinski, Vice-Chairman of the Board, Cinkciarz.pl. The app contains information about each cryptocurrency, its name and abbreviation, rates expressed in USD or BTC, as well as the percentage value change (for the last hour, day and week). In addition, the user receives data on market capitalization and volume in the last 24 hours. Rates are updated every few seconds. The user can search for currencies by name or abbreviation. The app also contains general news concerning the cryptocurrency market (capitalization, volume in the last 24 hours and news about the dominance of Bitcoin). Cryptocurrency Rates Conotoxia 1.0 Pluto has been designed in bold, golden colours. The app offers a convenient transition to the other apps provided by Cinkciarz.pl. The app for Android devices is available from Google Play. The iOS version can be downloaded from the AppStore.